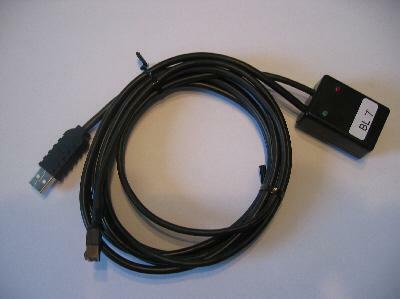 The Brotherlink 7 USB (BL7USB) is a cable to connect the Brother FB100 disk drive to a USB port of your computer. Using FB100 Utility, the driver program of the Brotherlink 7 USB, you can read and write the contents of Brother Pattern Disks. You can also format disks. Show pictures of patterns on a track (color and grey scale). Backup: you don't have to worry anymore about the fact that your disks might fail. Their contents is stored safely on your computer. You can save the contents rather easy to a CD ROM. 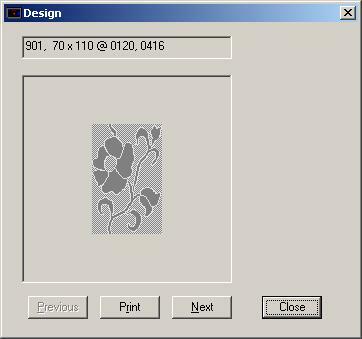 Documentation: you can find the pattern you want to knit very easy by browsing the pictures on your computer. You don't have to ask yourself the question: where is the bit of paper I wrote the contents of the disk on? 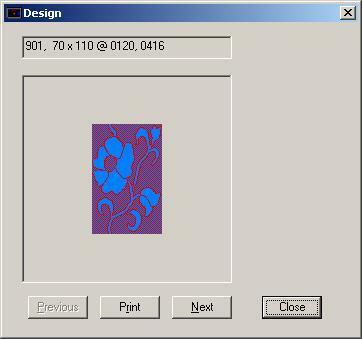 Make copy: when you want to provide someone with a copy of a Brother Pattern Disk, you can create a new disk from the file stored on your computer. In case one of your disks develops a defect, you just create a new disk with the same contents. You can format disks on your computer. 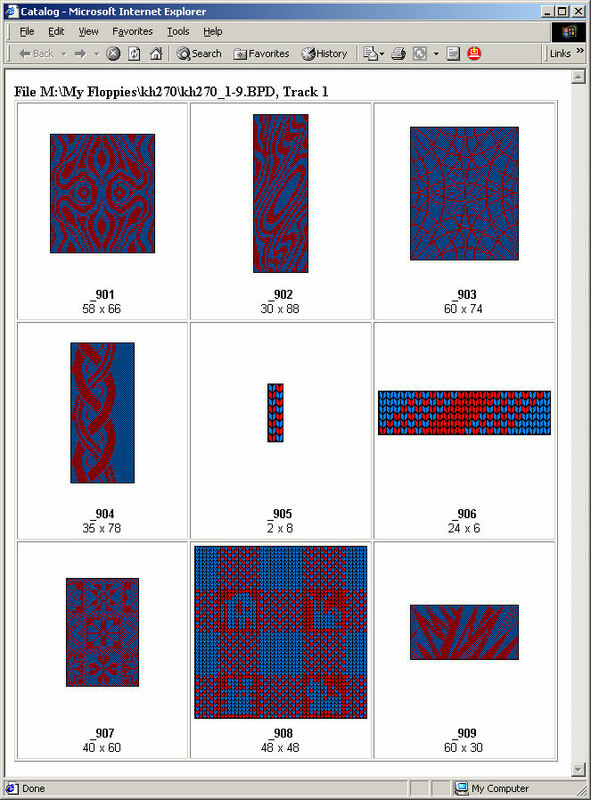 DesignaKnit users can import the pattern files in DesignaKnit. A DesignaKnit user can deploy the BL7USB as a Screenlink, given the user has a Knitlink Arm. 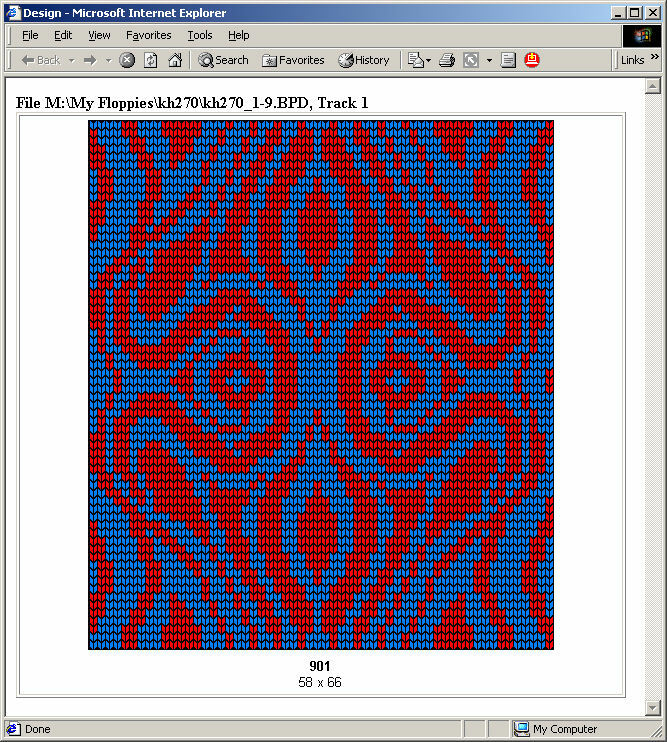 Print a catalog of the patterns on a track (color and grey scale). Print pattern (color and grey scale). Click on the picture below for the pdf file or here for the greyscale variant.